Arina Rodionova, Venus Williams and Mark Ein. In a city where history is made on a daily basis, Washington entrepreneur Mark Ein‘s extremely determined Washington Kastles tennis team has made lots of it. Sports history, that is. 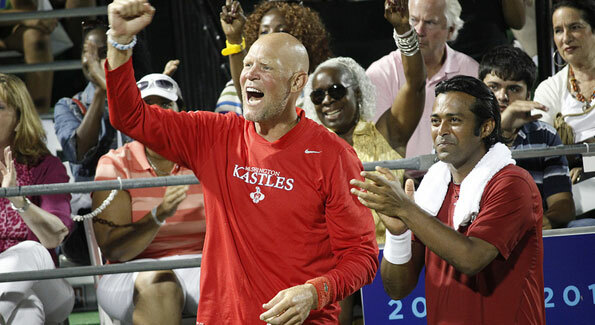 At their home finale Tuesday night, the Kastles continued their march toward sports history as they won their 27th consecutive match, clinching the number one playoffs seed. In a nail-biter of a match, the 11-0 Kastles rallied from 13-11 down through three sets to defeat the 4-7 Philadelphia Freedoms 21-16. With absentee team members Anastasia Rodionova and Leander Paes tweeting and texting their best wishes from London, where they’re preparing to compete for their respective countries beginning this weekend, it was up to Kastles’ closer Bobby Reynolds to preserve the team’s historic winning streak. A sold-out crowd for the Washington Kastles. And for the 17th time over the span of 27 straight victories, Reynolds did not let the team’s rabid fans down, converting games to victory at nearly every match point. the Washington Kastles went 28-0 after being victorious on Wednesday night, knocking off their Eastern Conference rivals 21-16 in New York City. 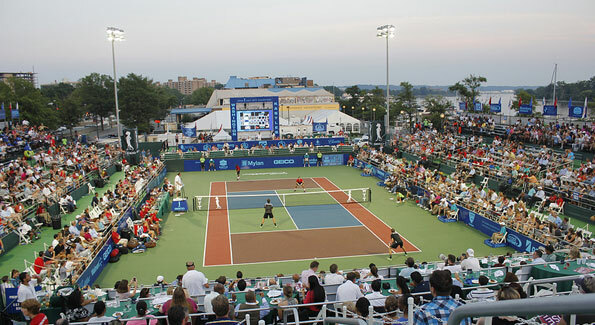 This July the team set a string of pro sports records at Kastles Wharf on the newly rejuvenated Southwest Waterfront. The Kastles’ 27-match winning streak now stands alone as the second-longest unbeaten run in major U.S. professional sports history; only the 1971-73 Los Angeles Lakers enjoyed a longer streak, winning 33 straight games. In earlier games, the Kastles surpassed the next professional league’s unbeaten mark when they overtook the all-time NFL winning record of 21 games set by the New England Patriots over the course of the 2003 and 2004 seasons. 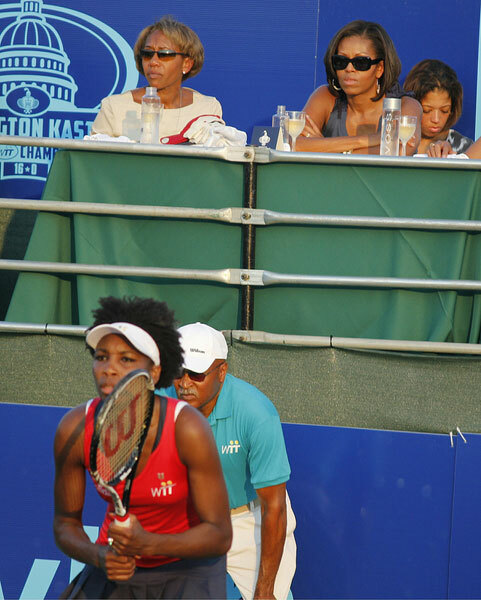 First lady Michelle Obama watches Venus Williams play. The Patriots, of course, went on to victory at Super Bowl XXXVIII, as the Kastles did for their respective league when they won World Team Tennis (WTT) championships in 2009 and 2011. By capturing the 2011 WTT title with a 16-0 record, the Kastles became the first major league sport team to have an undefeated season since the 1972 Miami Dolphins. On Sunday, three Olympics-bound players left Kastles Stadium, after leading the team to the most lopsided victory in franchise history. By defeating the Kansas City Explorers 25-8, Washington also earned top seed overall in WTT Finals Weekend, set to take place September 14-16 in Charleston, S.C.
Olympians Venus Williams of Team USA, Leander Paes of India and Anastasia Rodionova of Australia each won two sets for the Kastles (10-0), who swept the Kansas City Explorers (3-7) for their 26th straight win. Venus, who subbed in Sunday for sister Serena as she rested up for the Olympics after her big Wimbledon win three weeks ago, left the stadium to cheers and headed straight for the airport. Coach Murphy Jensen and Paes cheer on the Kastles. Six-time Olympian Paes and Olympic debutant Rodionova left Monday, when Williams carried the Olympic Torch along with British tennis player Andy Murray. At Sunday’s match, Venus earned 5-1 wins in women’s singles and women’s doubles with Rodionova to break open a 10-2 lead for Washington. Paes picked up where his Kastles’ teammate left off with 5-3 victories in men’s doubles with Reynolds and mixed doubles with Rodionova. Reynolds then capped the rout with a 5-0 win in men’s singles. The Kastles’ 27-match winning streak now exceeds the second-longest pro sports undefeated run, attained by the 1916 New York Giants of Major League Baseball. The Kastles have already surpassed the record NFL, NHL and MLS unbeaten runs. With their win over Springfield on July 11, the Kastles overtook the NHL’s longest winning streak of 17 games, set by the Pittsburgh Penguins during the 1992-1993 season. In fact, the Kastles have not lost a match since falling to the Boston Lobsters in overtime on July 22, 2010. Since then, the team has won three Supertiebreakers, saved six match points and won all seven of their matches that have gone to overtime. Washington is now 18-0 all-time at Kastles Stadium at The Wharf, where the streak began on July 5, 2011 with a 21-18 Kastles’ victory over the Kansas City Explorers in overtime. The Kastles have one more match remaining in the seaon, this Saturday’s match-up against the Springfield Lasers in Springfield, MO. 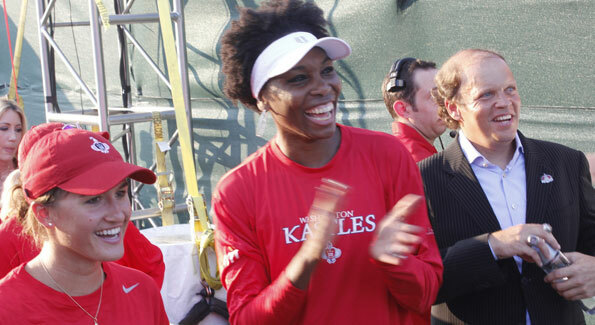 Founded in 2008 by Ein, the Kastles have won two WTT championships in their first four years as a franchise. Washington Life TV Presents: A Tribute to Mark Ein and the Washington Kastles from Washington Life Magazine on Vimeo. Next story Society 2.0: Let the Games Begin! YGL: Who’s Your Urban Daddy?